Within little more than ten years in the early nineteenth century, inhabitants of Tahiti, Hawaii and fifteen other closely related societies destroyed or desecrated all of their temples and most of their god-images. 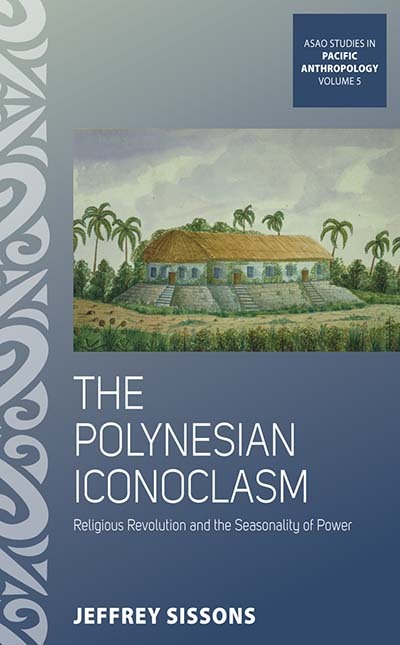 In the aftermath of the explosive event, which Sissons terms the Polynesian Iconoclasm, hundreds of architecturally innovative churches — one the size of two football fields — were constructed. At the same time, Christian leaders introduced oppressive laws and courts, which the youth resisted through seasonal displays of revelry and tattooing. Seeking an answer to why this event occurred in the way that it did, this book introduces and demonstrates an alternative “practice history” that draws on the work of Marshall Sahlins and employs Bourdieu’s concepts of habitus, improvisation and practical logic. Jeffrey Sissons is Associate Professor of Anthropology at Victoria University of Wellington. He is the author of numerous publications on Maori and Polynesian history written over the past 25 years. His most recent book is First Peoples: Indigenous Cultures and their Futures (Reaktion Books, 2005).